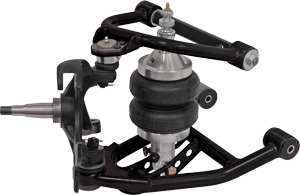 The gStreet™ line of front-suspension systems and components is an excellent choice for improving the performance and stance of many popular '50s through '80s GM passenger cars, with only minimal effort required for installation. System packages include tubular upper and lower control arms with bonded-rubber or poly bushings, depending upon vehicle application. Unlike competitor's coil-spring arms with crossbar mounts, gStreet™ lower control arms feature a true coil-over-style eye mount. To keep installation simple and maximize compatibility, control arms utilize the factory chassis mounts and bolt directly to stock or aftermarket dropped spindles. Arms feature a gray-hammertone powder-coat finish. gStreet™ systems are available with single- or double-adjustable, billet-aluminum VariShock coil-over shocks or ShockWave™ air suspension. Each style features a pivot-ball lower mount with ball-stud upper mount that bolts directly to the factory mounting location. The exclusive greaseable ball-stud mount provides more positive control of the suspension while still allowing free pivoting movement. 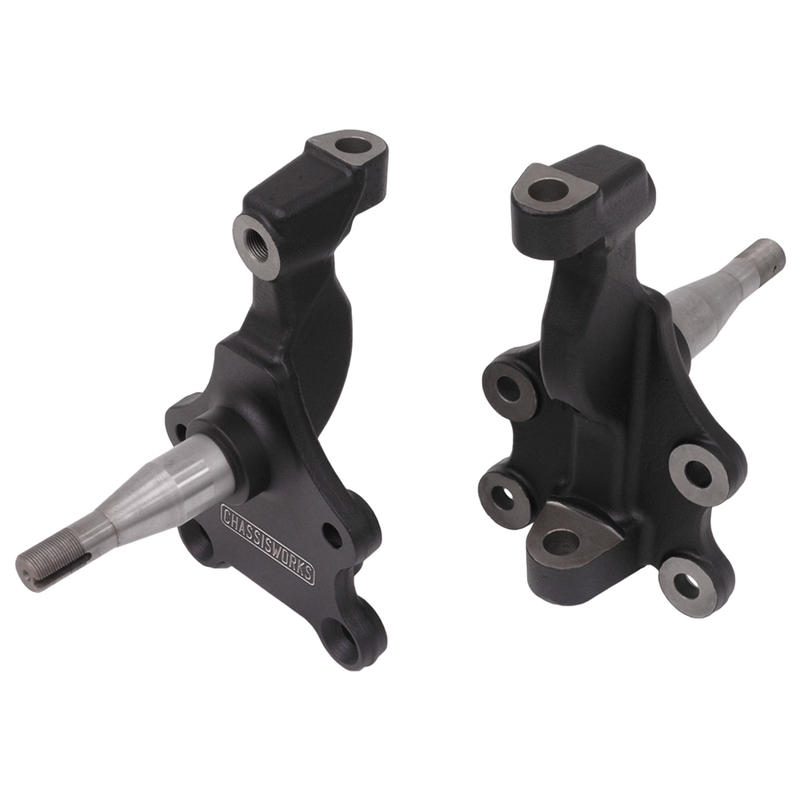 Drag Race System Option - A drag-race version of the system substitutes a specially valved VariShock with low-friction COM-8 spherical-bearing lower shock eye. 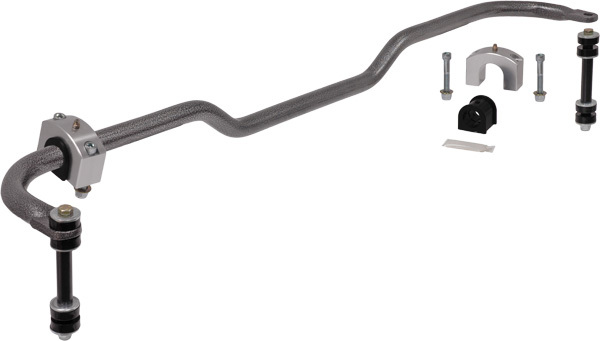 When used without a front anti-roll bar this package enables finer control of front shock extension and vehicle weight transfer, making this an excellent choice for drag racing. Anti-roll bars are available for each of the gStreet™ suspension applications. Premium polyurethane bushings and direct-fit hardware are included with each kit. Bushing housings can also be upgraded to billet-aluminum housings. Chassisworks drop spindles can also be added to your system to lower your vehicle's stance 2" without negatively affecting steering geometry or suspension travel. 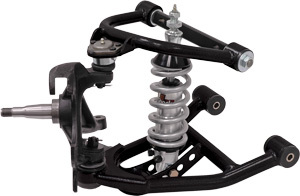 Includes upper and lower control arms, and VariShock coil-over with choice of spring rate.